The world is changing and requires now a great capacity to adapt to change. Are we ready to live in a society that demands more and more at a personal and professional level? How to deal with over-indebtedness, stress, digital transformation, artificial intelligence and climate change? What are the alternatives and how to become an actor in our lives to no longer undergo change but rather apprehend it without fear? 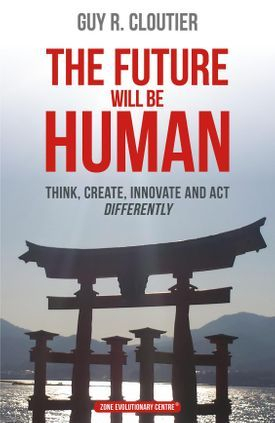 The Future will be Human gives you a personal and organizational vision to unleash your full potential. LET'S CREATE THE WORLD OF TOMORROW! The Future will be Human is meant for those who want to transform their lives to achieve their freedom and autonomy! LET'S BUILD THE FUTURE NOW! Editor : Zone Evolutionary Centre Inc.